Precise accuracy, awesome knock-down power, and deep penetration. 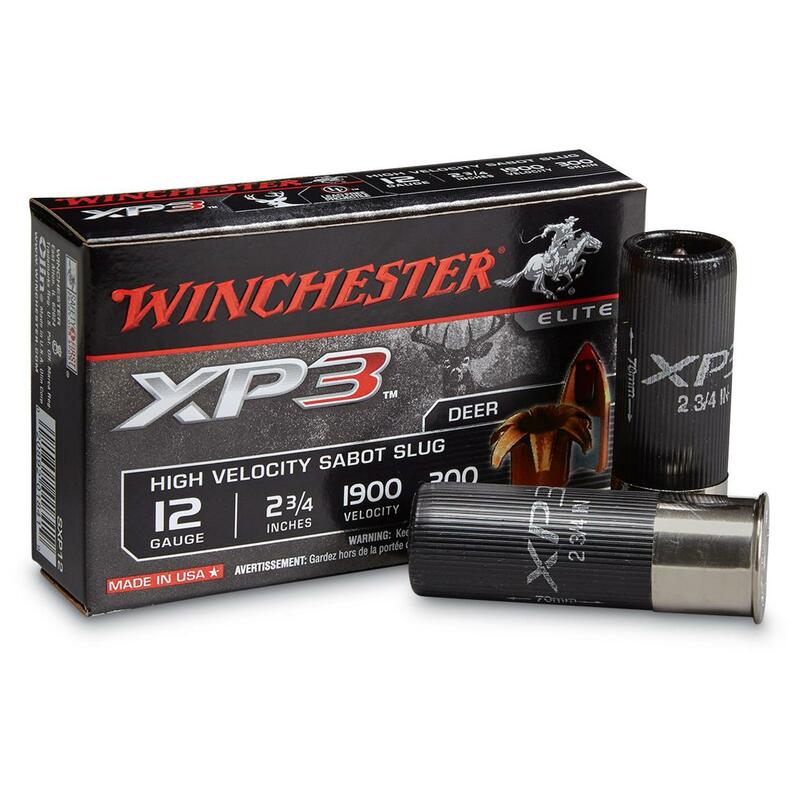 The Elite XP3 Sabot Slug is the most accurate, hard-hitting long-range slug ever developed by Winchester. For use in rifled barrels. 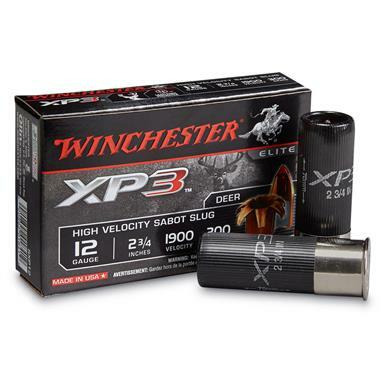 Winchester XP3 Deer, 12 Gauge, 2 3/4 Shells, XP3 Sabot Slug, 300 Grain, 5 Rounds is rated 4.8 out of 5 by 5. Rated 4 out of 5 by LUIS from Even though these are not 3" the recoil was pretty noticeable and stout. Accuracy was very good from the Savage slug bolt action rifle. Rated 5 out of 5 by BURYL from Hell of a round! I'm a retired peace officer here in Texas and I've used slugs for many years. 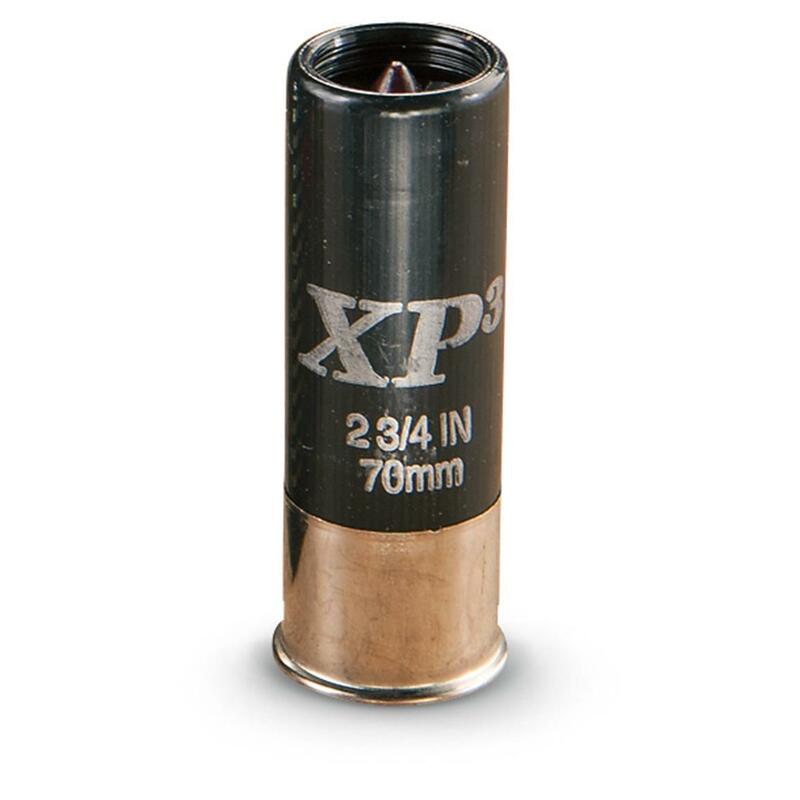 The weight and muzzle velocity was sorely needed back in the '70s, but we got by. Rated 5 out of 5 by CLARK from Very good slugs. Good groups out to 200 meters. Excellent knock down results.